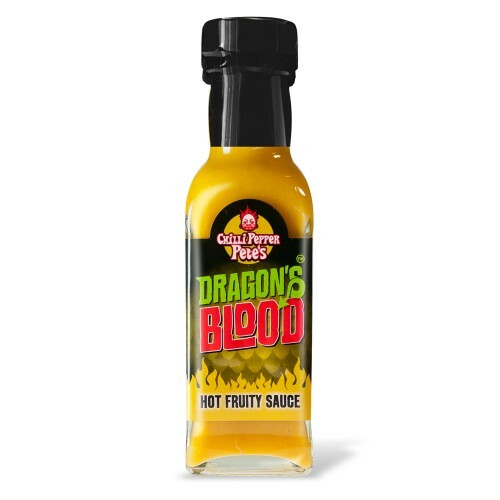 What can we say about the legend that is Chillipepperpete's Dragon's Blood Hot Fruity Sauce? A sweet and refreshing chilli sauce that's crammed with lots of exotic fruity goodness - and a whole lot of chilli! 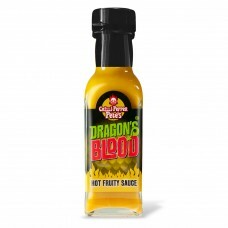 Fantastic as a marinade for chicken, pork, fish or tofu, mix with mayo for a hot tropical dip, or just have a bit on the side ...Hot sauce just got fruitier!